Marvel studios kicks off 2018’s plethora of superhero blockbusters with Black Panther! Chadwick Boseman returns as T’Challa, the Black Panther, to his homeland of Wakanda in Africa to become king after his late father’s demise during the events of Captain America Civil War (2016). The reclusive African nation of Wakanda is secretly a technologically advanced marvel, crafted and powered by the metal vibranium – the same substance utilized by T’Challa in his armoured Black Panther suit and high-tech gadgetry. As T’Challa prepares to inherit his throne, old enemies return, and soon T’Challa must confront a threat that will test his strength both as king and the Black Panther when he faces a conflict that puts Wakanda and the entire world at risk! Based on the Marvel comic book character Black Panther (created by Stan Lee and Jack Kirby) introduced in 1966, Marvel’s new blockbuster Black Panther, from Director Ryan Coogler and his co-screenwriter Jo Robert Cole, is probably one of the most hotly anticipated Marvel films to date. It’s a radically different kind of comic book film in many respects from the other seventeen movies in Marvel’s juggernaut superhero franchise. 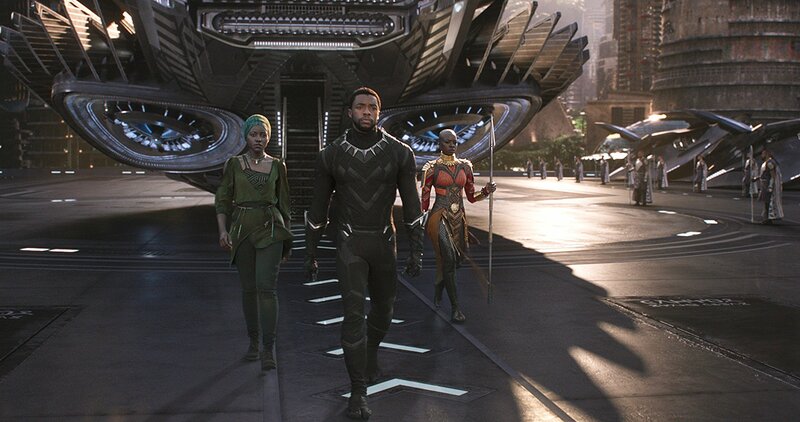 This is an origin story that celebrates the Black Panther and his nations proud heritage, it firmly establishes Black Panther’s place in the MCU, boasting an impressive cast, strong female characters, and the fictional nation of Wakanda itself is breathtakingly realized on screen with its futuristic buildings and floating hovercars. Marvel certainly have another winner on their hands with Black Panther! 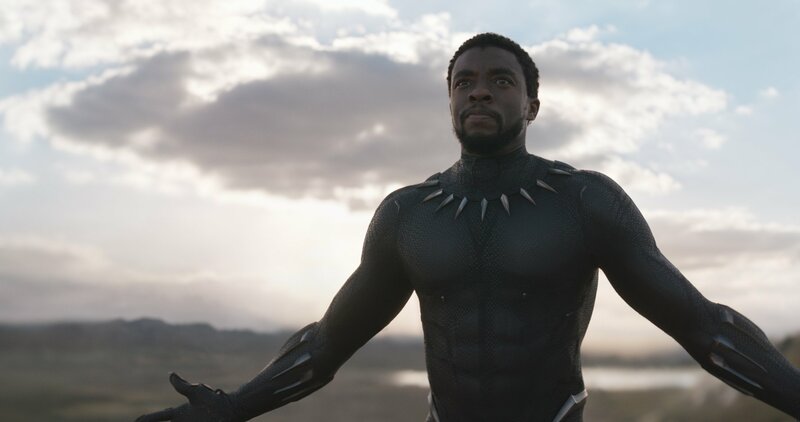 Chadwick Boseman is on fine form as the erstwhile heir of Wakanda, his portrayal of T’Challa has steely resolve and emotional vulnerability, and the characters enhanced physical prowess and suits abilities really get a chance to shine in the films elaborate action sequences. 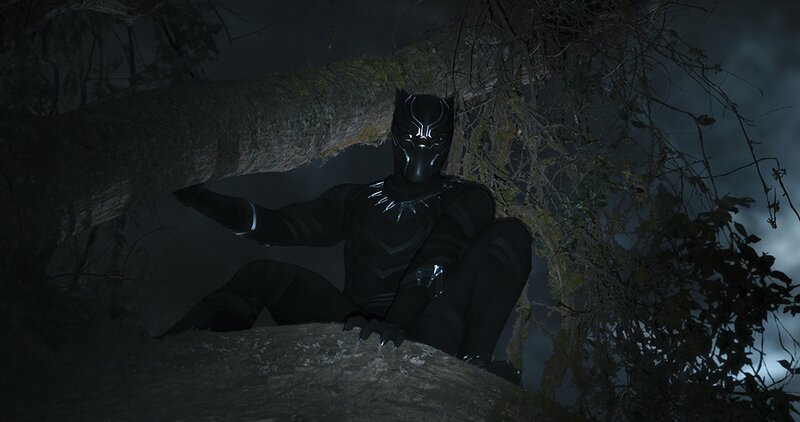 The screenplay from Ryan Coogler and Joe Robert Cole offers an engaging multifaceted plot that deftly balances the superhero action and strong characterization together with pertinent social, political, and contemporary issues to make Black Panther a richly textured and vibrant cultural experience. As this epic, generational saga plays out, the extremely talented cast of Black Panther really comes to the fore, especially with the strong female characters in T’Challa’s life. T’Challa’s sister is the amazing scientist Shuri (Letitia Wright), the cheeky Q to T’Challa’s Bond-like vibe who designs all of the Black Panther’s nifty gadgets and weaponry. 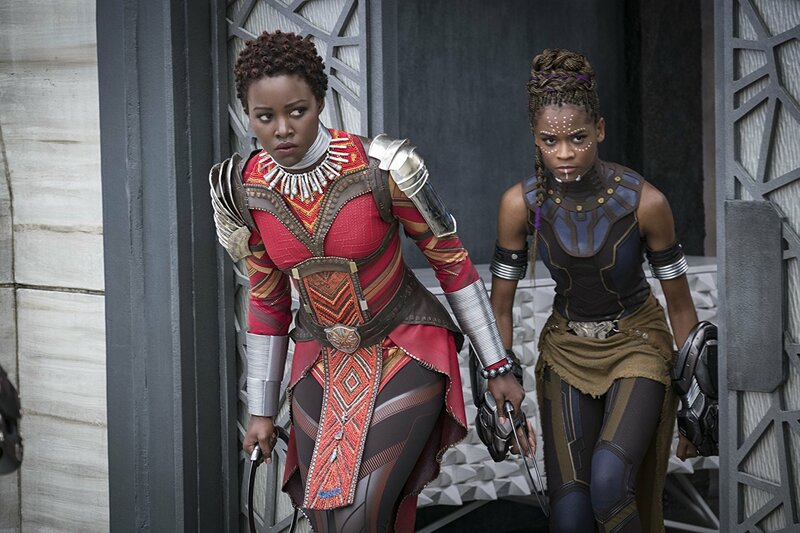 Angela Bassett stars as his widowed mother, Ramonda, Okoye (Danani Gurira) is the head of the Dora Miaje (The Royal Guard), and Nakia played by Lupita Nyong’o is a Wakandan agent and former lover of T’Challa. The transition of power will soon test the young monarch as T’Challa must choose between maintaining Wakanda’s traditional ways of protecting its technology and maintaining his nation’s isolation, or adopt a more modern approach, as well as a challenge to his leadership. Other integral characters to the plot include the shaman-like Wakandan elder Zuri (Forest Whittaker), the border tribe chief W’Kabi (Daniel Kaluuya), and the rival tribal leader M’Baku (Winston Duke). 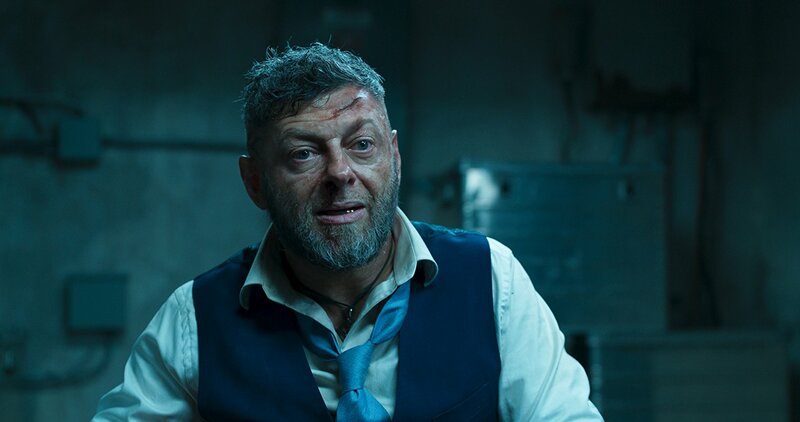 Martin Freeman plays Everett Ross from the CIA who inadvertently gets caught up in the Black Panther‘s mission to Busan, and subsequently ends up taking an enlightening trip to Wakanda as a result. As for the villains, T’Challa must contend with the South African criminal Ulysses Klause (Andy Serkis) and his scheme to seal the precious vibranium, and the Wakandan exile Erik Killmonger’s (Michael B Jordan) plot to overthrow the throne! Superbly played with charismatic swagger by Michael B Jordan, Killmonger’s new vision for Wakanda poses the biggest threats to T‘Challa‘s homeland, and Jordan makes a perfect foil for Boseman’s noble T’Challa. The slick direction by Ryan Coogler ensures the pace hardly lets up for a moment. The film has numerous exciting plot twists and spectacular set-pieces – a visit to South Korea, featuring a casino and an high-speed car chase, is just one of the films many highlights – that will keep you riveted to every scene, whilst also effortlessly immersing you in the beautiful African landscape and culture of Wakanda to make this easily one of the most unique and richly crafted locales that we’ve seen so far in the Marvel Cinematic Universe. 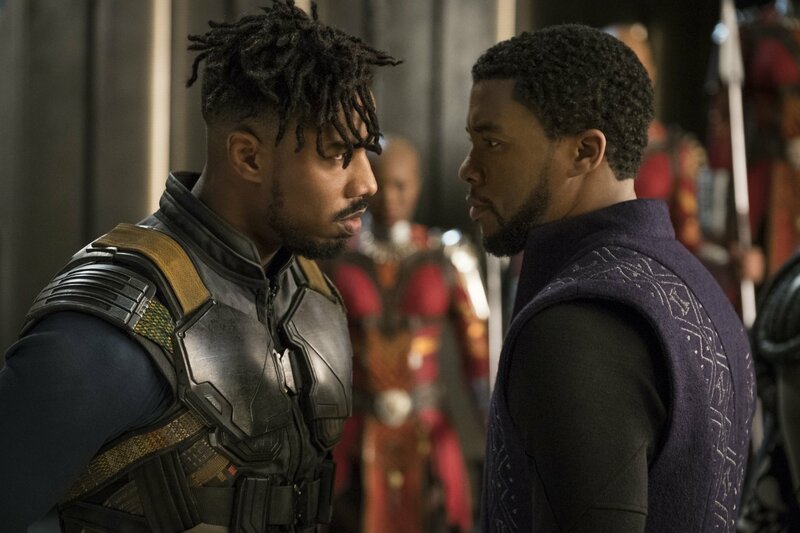 King of all it surveys from its scene setting opening prologue to its frenetically staged climatic battle between T’Challa and Killmonger, Ryan Coogler’s film is action packed and lots of fun. A game-changing afrofuturist superhero movie in more ways than one, with a great cast, beautiful scenery, and spectacular action sequences Black Panther is an exciting 134 minute thrill ride that delivers on every level! Solo: A Star Wars Story Official Teaser Trailer! 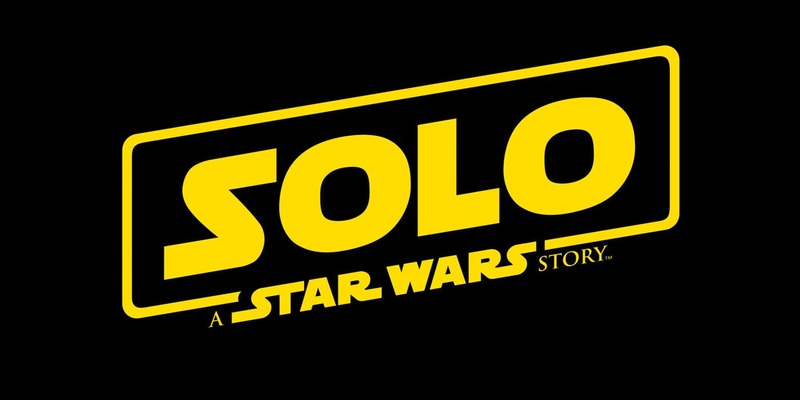 Check out the Solo: A Star Wars Story Full Official Teaser Trailer! 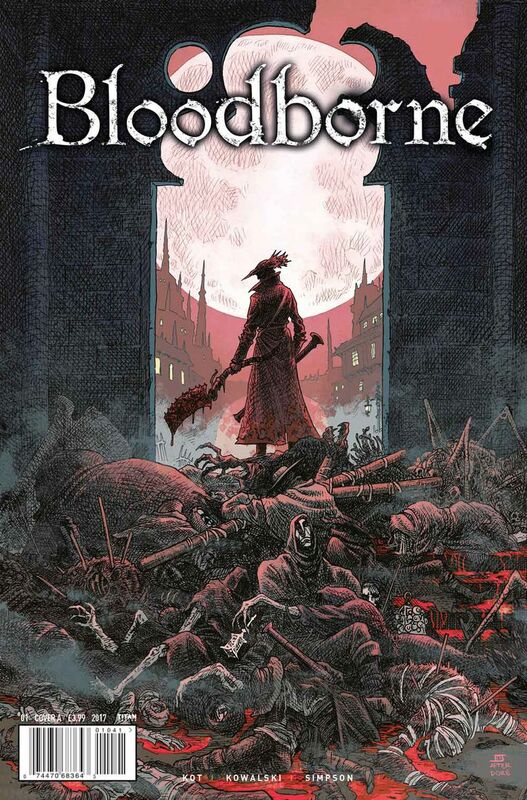 Well, the trailer looks pretty good, what do you all think? Solo: A Star Wars Story is in theaters May 25!